The Campaign to Renew Sinai is the largest campaign in Mount Sinai’s history that will see the revitalization of its facilities and growth of its internationally recognized clinical and research programs. One-third of the Hospital’s total space will be renewed, allowing us to deliver the best medicine and the best patient experience. 6 new floors on the Murray Street side of the building. Additional 160,000 sq. ft., primarily to the Frances Bloomberg Centre for Women’s and Infant’s Health, including the David & Stacey Cynamon Mother and Baby Unit. New Neonatal Intensive Care Unit: single room units, enhanced security and infection control features. New Labour and Delivery Unit: including 5 new operating rooms. New Antenatal units: with increased room sizes. Schwartz/Reisman Emergency Department: Doubling the capacity, making it one of the larges in the downtown Toronto area. Surgical Suite: 19 new state-of-the-art Operating Rooms, including a new robotics assisted suite and 3D imaging technology. Intensive Care Unit (ICU): 50% increase in beds, with upgraded equipment and improved access to the Emergency Department. Inpatient Units: 8 new and modernized units. Ambulatory Clinic: renovation on a central area for out-patients. Lobby: A welcoming, refurbished lobby, with patient-friendly navigation, fully accessible design, new commercial services and prestigious recognition. Toronto - Mount Sinai Hospital is pleased to announce that Jay and Barbara Hennick have made a generous new $6 million gift that will support a new healing and respite area of the hospital where patients and their families, visitors and staff can visit and experience an oasis of tranquility that will further strengthen the patient experience. The gift follows previous gifts totalling $1.5 million dollars to establish a state-of-the art security command centre to ensure the safety of patients and staff within the hospital. 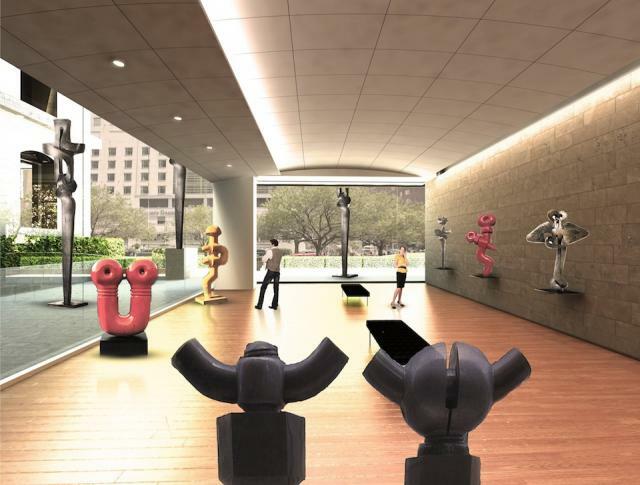 Envisioned as an intersection between art and wellness, The Hennick Family Wellness Centre will feature artworks by Sorel Etrog, one of Canada’s most preeminent artists, who has made an unprecedented donation comprised of many of his most esteemed works to the Hospital. The new wellness centre will be built on the north end of the main lobby of the Hospital and will be encased with floor-to-ceiling windows surrounded by outdoor patios exposing pedestrians walking along University Avenue to its beauty, and allowing patients and families natural light and a connection to the outdoors. The new space, scheduled to open in early 2015 is part of The Campaign to Renew Sinai, the largest campaign in the Hospital’s history, which will see the transformation of its facilities and growth of its internationally recognized research and flagship clinical programs. The concept of a wellness centre as a part of the healing process is based on extensive research demonstrating that stress and psychosocial factors can significantly affect patient health outcomes and support their families at difficult times. “We know that there is no health without mental health, and the new Hennick Family Wellness Centre will strengthen the physical, emotional, mental, social, environmental and spiritual health for our patients and their families,” says Molyn Leszcz, Chief, Psychiatry, Mount Sinai Hospital.